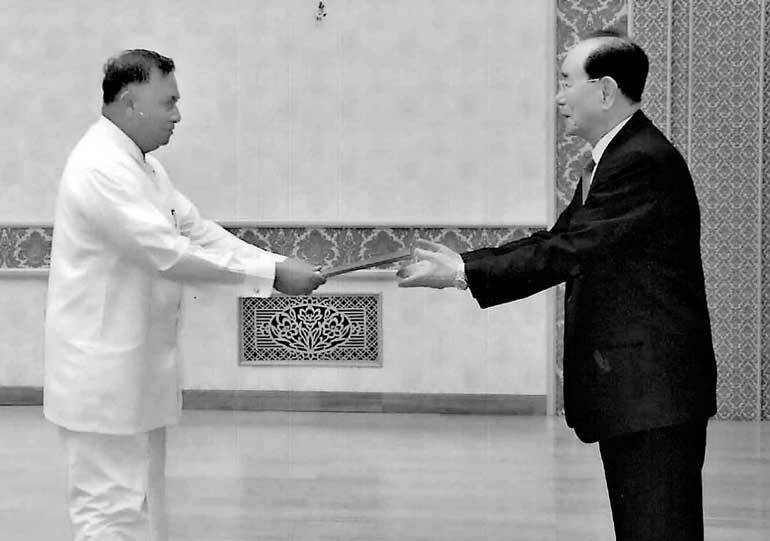 Dr. Karunasena Kodituwakku, Ambassador to North Korea with residence in Beijing, presented his credentials to the President of Presidium Kin Young Nam recently at Mansadae Assembly Hall, in Pyongyang in North Korea. The President of Presidium and Sri Lankan Ambassador discussed matters regarding friendly relations between Sri Lanka and North Korea. During the Ambassador’s stay in Pyongyang, he met Minister of Foreign Affairs Ri Yong Ho and other senior officials in the fields of education and culture.